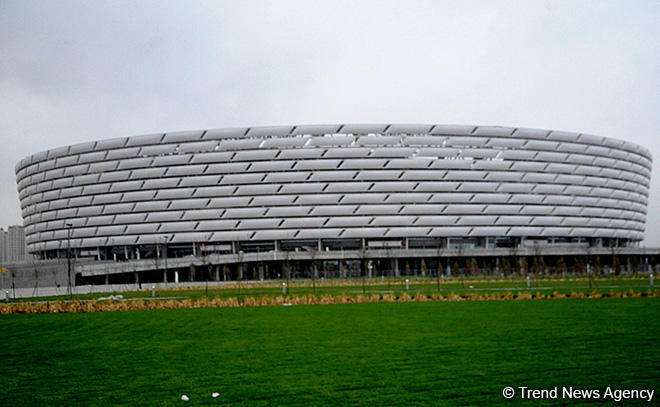 Baku Olympic Stadium is set to turn red in a global display on July 20 at 21:30, to show Azerbaijan’s support for creation of a more inclusive world thus celebrating the 50th Anniversary of Special Olympics. Special Olympics, the world’s largest sports organization for people with intellectual disabilities, is a global movement of people creating a new world of inclusion and community. There are as many as 200 million people with intellectual disabilities around the world. More than 100 buildings around the world, among which, London Eye & Piccadilly sign in London, Mansion House in Ireland, Krymsky Bridge in Moscow will take part in this initiative and demonstrate respect for tolerance and diversity. Baku will host a forum, “Special Olympics Global Young Leaders, scheduled for September 24-28, involving 30 young and old leaders representing nearly 30 countries. Supported by the government, the forum will provide participants with training and opportunities to form more inclusive communities in their countries. The decision to hold the forum was announced, earlier, in April at the signing ceremony, by the Youth and Sport minister, Azad Rahimov and the Regional president (Europe Eurasia) and Managing director of Special Olympics, David Evangelista. The movement organizes 32 Olympic Games and 108,000 games and competitions throughout the year. The next Int’l Special Olympics Summer Games will be held in Abu Dhabi, on March 14-21, 2019, including more than 7,000 athletes representing more than 170 countries around the world.